Conroe area home and business owners know that the area is no stranger to mother nature’s wrath. Natural disasters that have the potential to strike the area include: floods, tornados, strong storms, snow and fires. A large amount of damage is typically left behind following a disaster, especially water damage. At 911 Restoration of Houston, our team understands the amount of damage a disaster can leave behind and has received extensive training on providing water damage restoration services. 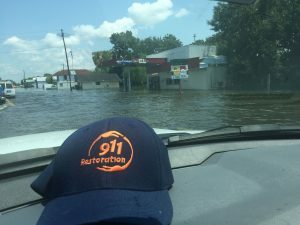 The water damage experts at 911 Restoration of Houston have the knowledge and experience needed to help Conroe area residents when they are in need. Your safety and the safety of those who inhabit the property is our team’s number one concern. In order to provide the best water damage restoration services in the industry, our team is available 24/7, 365 days per year. Within 45 minutes of the phone call, the water damage team will arrive at the property and begin inspecting the damage. Once the damage has been assessed, necessary water damage restoration services will be provided and you will be on the path to a fresh start. Get back to pre-damage condition with the team you can trust. 911 Restoration of Houston truly cares and understands what property owners feel when faced with damage. The water damage team will work to restore the property and your peace of mind. Call the water damage experts in Conroe today. When it comes to water damage, time is of the essence. The longer water is allowed to manifest, the more likely it is to create additional damage like mold infestations. Mold infestations can begin within 12-24 hours of being exposed to a water source. Often times, water damage can go undetected for days. So, although you may think water damage services are needed, mold removal may be needed as well. Get on the path to a fresh start by contacting our team in Conroe today. 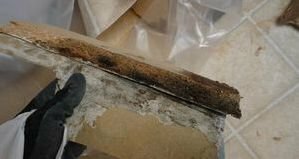 The mold removal experts will quickly and efficiently provide water damage restoration services and total property restoration. It’s important to know that there is a team of water damage and mold removal experts that you can trust when faced with disaster. Conroe, Reno, Carson City and surrounding areas can rest assured knowing that the team at 911 Restoration of Houston has their best interest in mind. The water damage experts will take whatever steps are necessary to ensure peace of mind is restored and the property is better than new. Get the Conroe water damage and mold removal experts to get the restoration services you deserve. Your fresh start is just one phone call away.